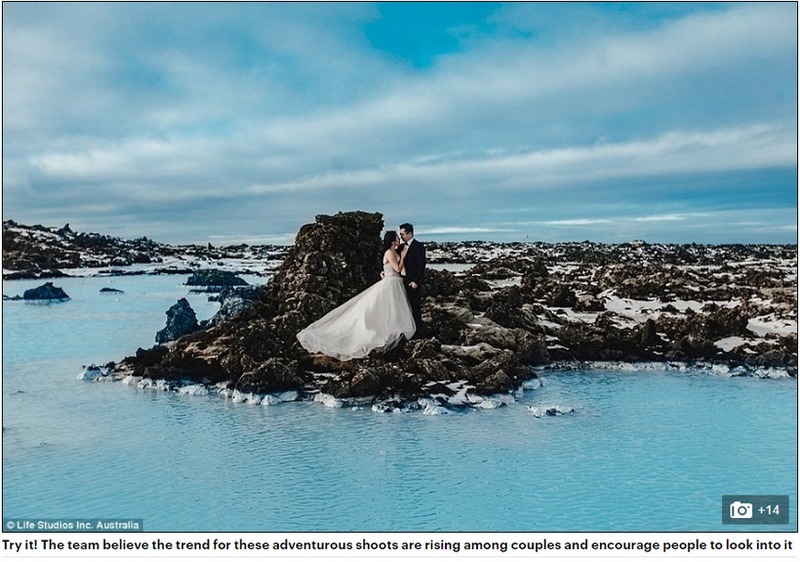 Canadian couple Cici and Clement decided to take two photographers and two cameramen to Iceland to shoot their wedding photographs. 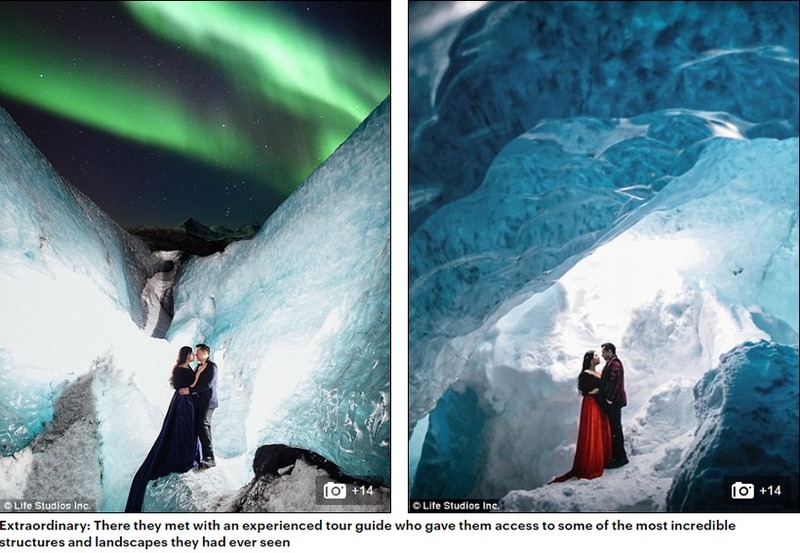 As reported by the Daily Mail, "The "jet-set power couple" decided to start early and travel to Iceland to capture their love in an epic engagement video and photoshoot." 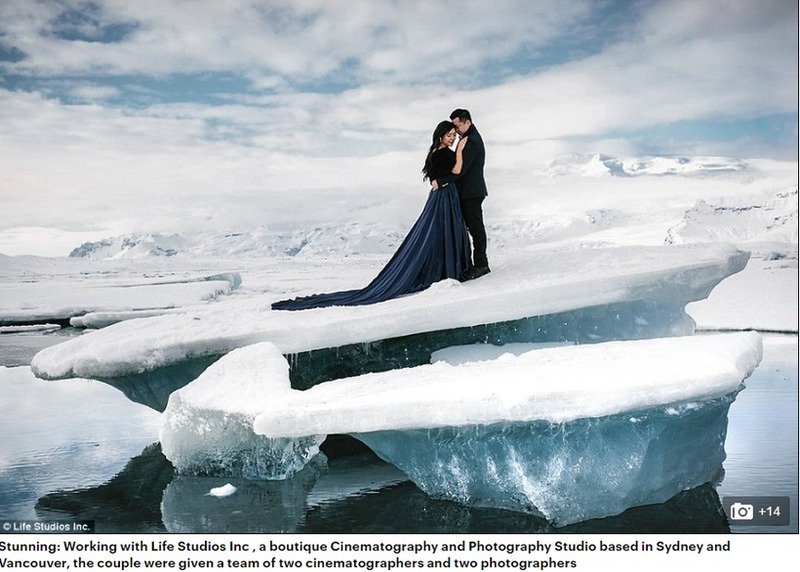 The couple organised the shoot through Life Studios Inc. The photos are taken in a variety of different locations in Iceland including glaciers, black sands and under the Northern Lights.